Romania’s President-elect, Klaus Johannis, might want to send a thank you card to the 3 million Romanian citizens living and working abroad. And also to Transylvania’s Hungarian population. Without them, Prime Minister Victor Ponta would have been able to change political chairs and become the country’s new left-leaning president, replacing Traian Băsescu, who was completing his second and final term in office. Turn-out in this past Sunday’s second round of voting was surprisingly high: 62% of eligible voters took to the polls, with especially high numbers of pro-Johannis voters at consulates in western European cities. 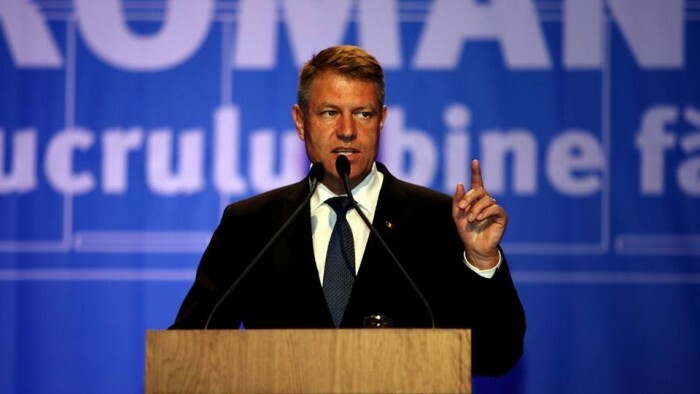 Mr. Johannis (in the Romanian press, his name is Romanianized as “Iohannis”) garnered 54% of the vote, despite the fact that he was the underdog and nearly all pollsters predicted a Ponta victory. It would appear that this election was won through Facebook-based mobilization and a huge protest vote against Mr. Ponta, who is perceived as having been ineffective in tackling widespread corruption and who is often accused of undermining the country’s democratic system. Mr. Ponta, however, would like to remain the country’s prime minister, despite this unexpected loss. Transylvania’s ethnic Hungarian population (numbering over 1.2 million) voted overwhelmingly for Mr. Johannis, even though turn-out was especially low in the Hungarian-majority Székely (Szekler) counties of Hargita and Kovászna. The Democratic Union of Hungarians in Romania (RMDSZ) is a member of Mr. Ponta’s government, but realizing that Mr. Johannis, the successful long-time mayor of the historically Saxon town of Sibiu (Nagyszeben), is much more popular among Hungarians, the party decided not to endorse either candidate. In Hargita, Mr. Johannis garnered 80% of the vote and 78% in Kovászna. He also won 80% in his home county of Szeben and 74% in the ethnically diverse (Romanian/Hungarian) Kolozs county. Outside Transylvania, Mr. Johannis won the majority of votes in Prahova, Iasi, Tulcea and Konstanca. While Mr. Johannis is unlikely to agree to grant any major concessions to those who seek autonomy for Székelyföld (ie: Kovászna, Hargita and a portion of Maros counties), some are hoping that he will at least devolve some powers or decentralize to Transylvania as a whole. Árpád Antal, the ethnic Hungarian mayor of Sepsiszentgyörgy, believes that RMDSZ will have to mull the possibility of leaving Mr. Ponta’s coalition government. He also expressed hope that Mr. Johannis, as a former mayor, will see the value in devolving some powers to counties and municipalities and ending the centralization, which has favoured Bucharest. Mr. Antal also asked that Mr. Johannis, as a minority politician, show more “empathy” towards Hungarians. While there was no sign of this in his victory speech, Mr. Johannis did have a message for the illiberal, authoritarian Prime Minister Viktor Orbán of Hungary. As a report in the Financial Times noted, both Mr. Ponta and Mr. Johannis have distanced themselves from the anti-western and antidemocratic politics of Mr. Orbán. President-elect Johannis went as far as to observe that Hungary’s democratic system is headed in the wrong direction. “My orientation is west,” added Mr. Johannis. As such, despite being a president of the centre-right, Mr. Orbán has not found a new ally in Mr. Johannis. Dear Mr. Author. You just might have been writing nonsenses here. You are inventing expression, even though you are NOT a linguist and you have nothing to do with politics. Please, be kind and do not try to manipulate the people, especially if you live at several thousand kilometers away from the place that you are talking about ! Shame on you ! A real journalist should be OBJECTIVE, not subjective! Another mistake of yours, I just had to let you know how amateur you are : you should NOT advertise any private company in your articles , unless you are being payed for ! You have proven total amateurism to me! God bless Orbán Viktor and all the people who voted for him ! @Lehel-Györgi: To what private company are you referring? The Financial Times? It is a newspaper and no doubt delights in being quoted and identified. You are, Mr. Lehel-Györgi, talking through your hat. Well…obviously you haven’t read the text attentively, have you? Okay, now go back to the very beginning of it and try once again, now this time try to read with your eyes..open. It is right there. And let me announce you, that a private company is anything but something owned by the Government, is that clear to you? I will not write their name, because they aren’t paying me for that, so why should I advertise them for free? While I agree with the title of this article, I am still puzzled about the many mistakes and misspellings when it comes to writing the Romanian names of cities and towns from Romania. There is no city named “Konstanca” on the Black Sea cost, in Romania. The correct name is Constanta, as you can see on any correct map, either in Europe or in the USA. You are still giving the correct names in Hungarian of little towns at least ten or 20 times smaller than Constanta. You are also talking about Szeben, the Hungarian name of a city that has never been ethnically Hungarian. Its real name in Romanian is Sibiu and in German, Hermannstadt. There is a tiny German minority over there (less than 1%, because many German-speaking population has preferred to move to Germany) and an equally small percentage of Hungarian population. When you are talking about the Kolozs county I can assume that you might be talking about Cluj County. Again, there has never been a Kolozs county. Even during the Austrian or Austro-Hungarian county the name was different: Kolozsvar. The figure you are giving for its population is very different from the figure presented by the Hungarian Democratic Organization, which is 17% Hungarian and not”74% diverse Romanian-Hungarian” as you are mistakenly saying. 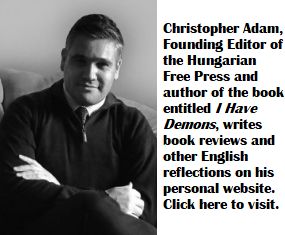 These type of inaccuracies is not at all new when it comes about taking information from Hungary concerning Romania. In fact an American touristic guide of Hungary has cautioned its readers not to buy any map of Romania from Hungary, “because that would be money poorly spent”. Other than that I agree that nowadays from a political standpoint Romania is indeed situated “to the west of Hungary”. he chauvinistic government of Mr. Orban has become very attractive mainly for Putin’s Russia. The smart guy is not even living in Hungary, check it out for yourself….He lives in Canada !!! And writing about Hungary 😉 Man ! The 74% reference to Cluj/Kolozs county is the proportion of votes received by Mr. Johannis. Please re-read this sentence in the article, as you have misunderstood it. The county is, indeed, ethnically diverse, but nobody is claiming that ethnic Romanians don’t comprise the majority. In terms of our decision to use the Hungarian names of Transylvanian towns…perhaps we should be consistent in using both the Hungarian and Romanian versions in our articles. But since this is a liberal paper based in Canada, we are in support of minority and linguistic rights and, in particular, we are supportive of bilingualism in Transylvania. We use Hungarian place names as a matter of principle.